Construction of a new combined-cycle natural gas plant is currently underway in Citrus County, Florida. Between 600 and 700 temporary construction workers were to be hired last spring, including equipment operators, ironworkers, welders, pipe fitters, concrete pourers, and electricians. Employment of these skilled workers is expected to peak in 2017. As of June 2016, Broward County employed 42,800 construction workers in the residential and commercial sectors, 1,800 more than a year ago. From June 2015 to June 2016, residential and commercial construction positions in Palm Beach, Florida increased by 200. New construction of homes, businesses, highways, and bridges added 5,300 jobs in Miami-Dade County, Florida, between June 2015 and June 2016. The county employed 45,400 construction workers thanks to these projects. All of these projects have created such a demand for construction workers that some contractors have reported struggling to find qualified job candidates. f demand exceeds supply, the state could experience a skilled labor shortage. Demographics are one reason skilled labor shortages occur. 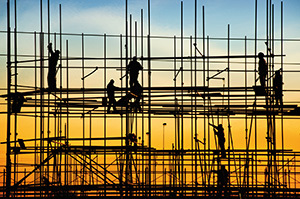 The Associated Builders and Contractors noted nearly 21 percent of skilled construction workers are 55 and older, with 29 percent between the ages of 45 to 54. 6 While this opens the door for young workers to take center stage, without hands-on experience from electrician classes or guidance of an older electrician, their learning curve is typically greater and they may take longer to adjust and get to work on large projects. The vocational training programs at Tulsa Welding School are designed to produce top-caliber electricians that can meet the challenges of a growing Florida construction market. By integrating some classroom work with hands-on training, students learn the skills to enter this expanding field. With faster than expected job growth, qualified electricians can find work in a variety of industries including construction for both residential and commercial projects.